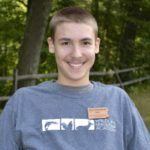 This blog post is written by Peter L, Monthly Blog Correspondent and a Drummers and Ursids alumni. He showcases a couple types of ants and their habitats. 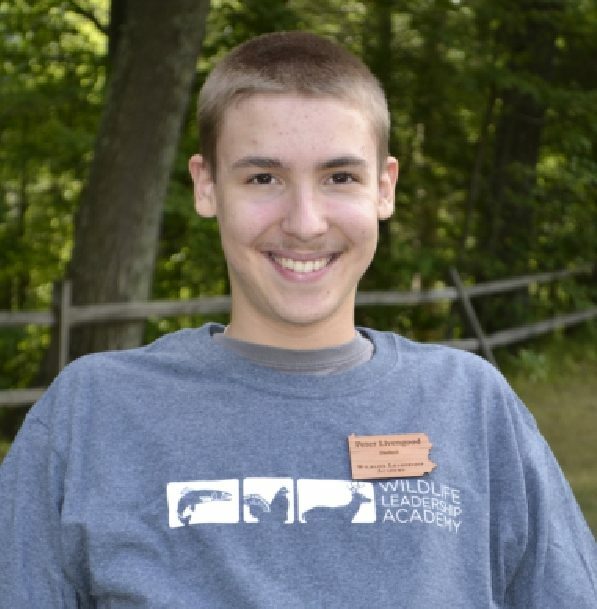 Peter also gives insight into an ant’s life and some cool facts that are sure to enlighten you. North America is home to more than 1,000 species of ants. Ants vary greatly in size, anywhere from a pinhead to a paperclip. Some ants live in large mounds, like the Allegheny Mound Ant. 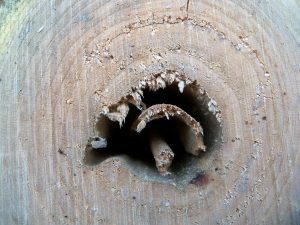 Other ants, such as the Carpenter Ant, live in tunnels carved out in trees. Ants are unique, living in massive colonies and working together to create elaborate networks of tunnels and chambers. Ants play an important role in the ecosystem. Some of the following facts about ants you will probably be familiar with, but I am sure some will surprise you! 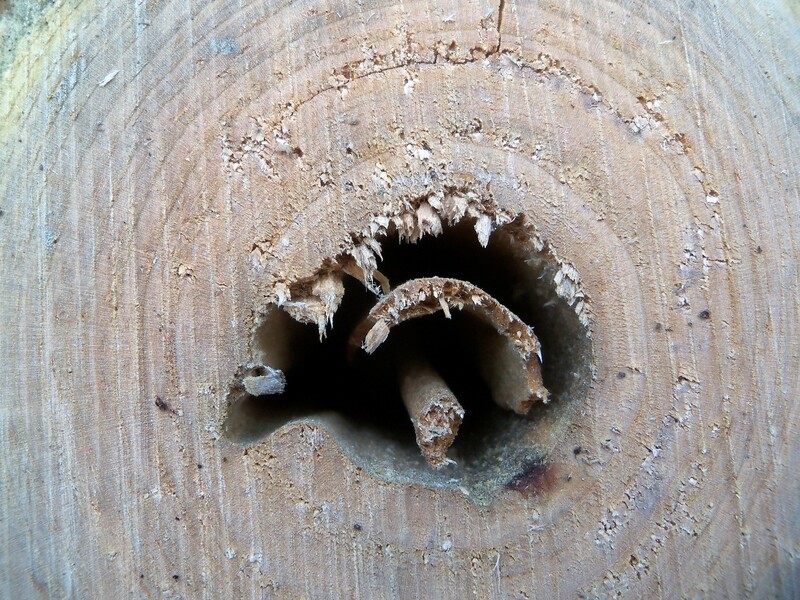 This is a picture of the top of a log in which Carpenter Ants have made tunnels. Ants have very intricate colonies. Colonies consist of thousands, sometimes millions of ants, all working together in harmony. Ants communicate using chemicals (called pheromones), sound, and touch. Ants communication abilities are incredible, evidenced by the fact that they can build complex mounds, tunnels, and accomplish other feats that require excellent teamwork. Ants also work together to provide food for the colony. Ants have very different and interesting methods for feeding their colonies. Some ants capture aphids and “milk” them for “honeydew.” Some ants are farmers who tend to underground fungus gardens. Other species are foragers that will consume a wide range of food sources including seeds, plants, decaying organic matter, and insects. Ants are very useful and important in the ecosystem. They turn and aerate the soil, bringing oxygen and water to plant roots. Some species transport plant seeds underground, some of which sprout and grow. Ants are also very important for the food value to wildlife. Many species of animals rely on ants as a food source. Ants are a favorite food of many species of wildlife. Many well-known animals eat ants. Bears and skunks both love to destroy ant nests and eat the ants inside. 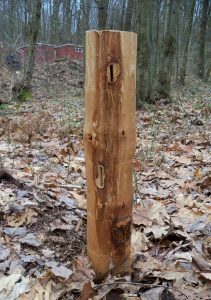 Carpenter Ants are a main source of food for young grouse and pileated woodpeckers. 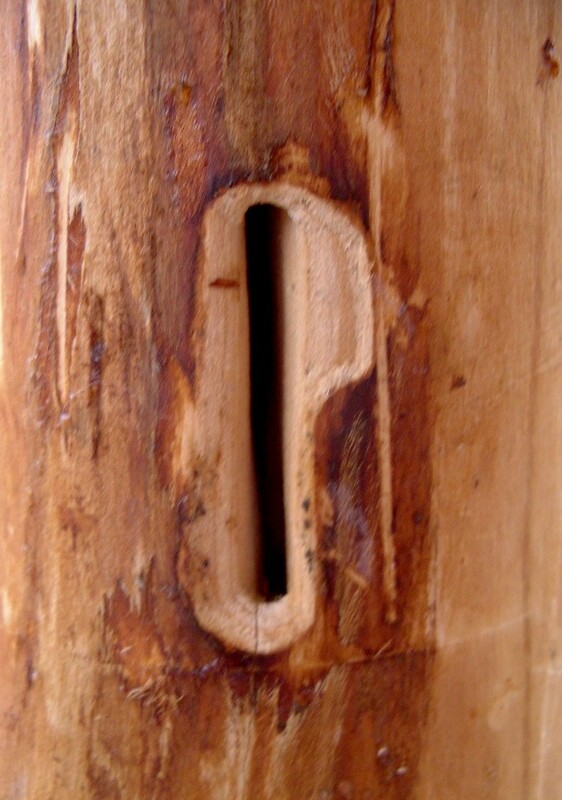 Smaller woodpeckers, along with some songbird species, also eat ants. Now for some not so well-known animals that eat ants: toads, frogs, lizards, and at least one species of salamander like to eat ants! Snails, fish, and other insects (including ants!) eat ants as well. Note how smooth their entrance hole in the picture on the right is. This is a section of a Fire Cherry tree I cut down. I have some other amazing ants in my backyard. 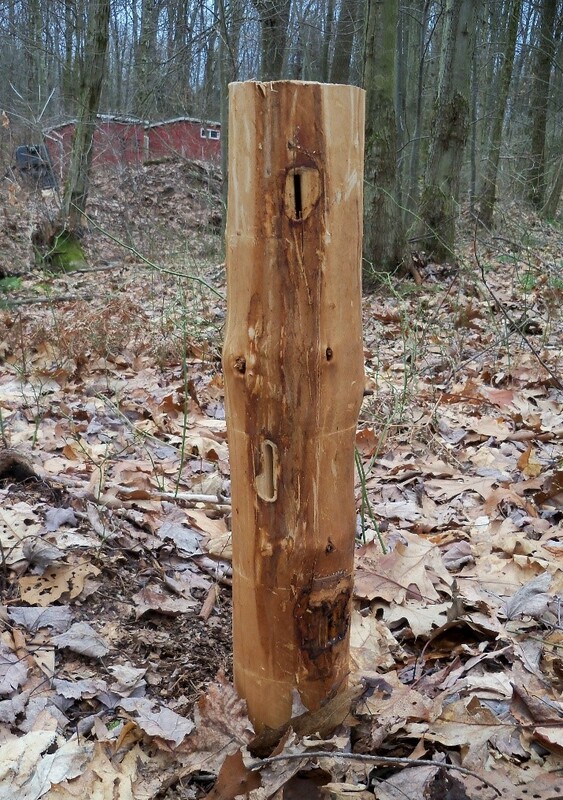 There is a very large ant mound on my family’s property and it is inhabited by Allegheny Mound Ants. This ant mound was on our property when we bought it 10 years ago but has not increased much in size. I do not know of any way to determine how old it might be, but I suspect it is very old. The mound has been stepped on by a horse that escaped and nicked by a snowplow blade, but the ants repaired the mound quite quickly and it is still flourishing today. Here are some strange facts and interesting tidbits about ants. Ants can lift up to three times their bodyweight. 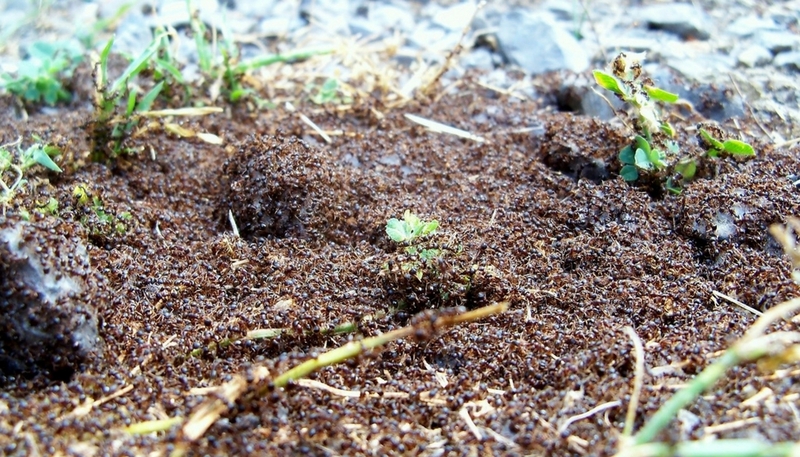 Ants can build mounds over 6 feet in diameter and 3 feet in height. Some ant species raid other colonies and take workers captive to use as a workforce, in essence making slaves of other ants. Most ants can survive underwater for around 24 hours. Some bird species go “anting,” which consists of the bird rubbing ants into its feathers. The reason for this is still mostly unknown. Some ants can live up to 30 years in their natural habitat. The total weight of ants in the world is estimated to be the same as or greater than the total weight of humans in the world! As you can see, ants are truly amazing and useful creatures. Many aspects of ant behavior are not well understood. Ants are very intriguing to study because there are many different species that all have different colony activities. Ants are very common and easy to find; there are probably some in your backyard. There may not be an ant mound in your backyard like there is in mine, but I am sure you can find some ants to watch and study.